The UU Media Collaborative is a space for Unitarian Universalists to collaborate on the production of freely available and sharable visual graphics, images, videos and other resources. We hope to encourage collaborations between UU graphic designers, photographers, videographers, graphic artists and other creative minds. Interested in sharing the ideals of Unitarian Universalism visually? Join us! Coming together in a new spirit of collaboration, members started sharing resources for free stock photos, then sources for UU quotes. Then POW! The following UU Media Collaborative works resulted. We’ll be figuring out a vehicle for making the groups works easy to follow and share, with clear use guidelines. UPDATE: We’ve launched a Facebook page for sharing images created by the UU Media Collaborative. Like to get new content you can share with your congregation and beyond! Boston UU Revival on May 12th! Join us for a service of song, story, and reflection. Music by: Matt Meyer, Mark David Buckles, and “The Music Committee,” a contemporary UU band. An offering for the UU Urban Ministry will be taken. Join us for an energetic service of song, story, and reflection as we share in a celebration of the transforming message of Unitarian Universalism. Worship begins at 4pm, with a shared dinner to follow at 6pm. Music by: Matt Meyer, Mark David Buckles, and “The Music Committee” a contemporary UU band. A free-will offering will also be taken for the UU Urban Ministry of Boston. Unitarian Universalist Ministry – What do you love about ministry? Unitarian Universalist (UU) ministers respond to the question, “What do you love about ministry”? In two minutes and six seconds, ten current UU ministers describe what they love about being in ministry. Very moving. Unitarian Universalist Ministry – What are the challenges of ministry? Unitarian Universalist ministers respond to the question, “What are the challenges of ministry?” Five UU ministers describe briefly the challenges of being in ministry. 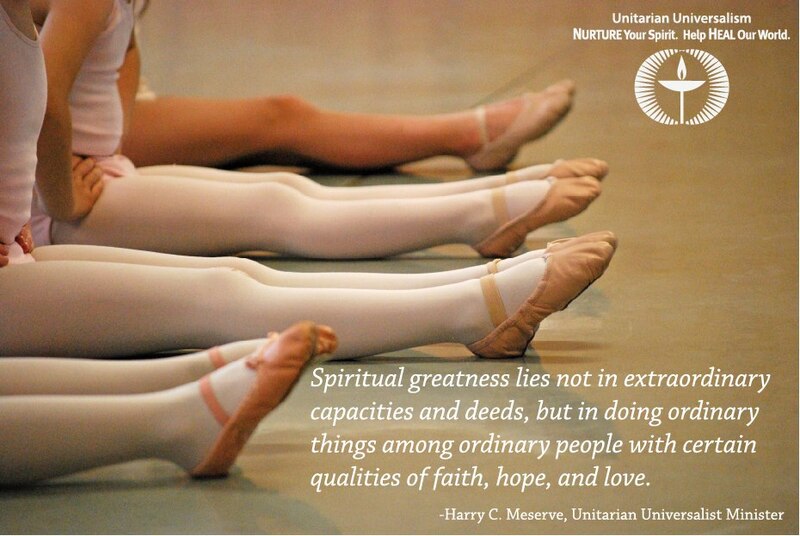 Unitarian Universalist Ministry – What is the core of your calling? Five Unitarian Universalist ministers talk about the core of their calling. Unitarian Universalist Ministry – How is your ministry transformative? Four Unitarian Universalist ministers talk about how their ministries are transformative. Unitarian Universalist Ministry – How possible is work-life balance? Six Unitarian Universalist religious professionals talk about whether it’s possible to find work-life balance in their ministries. Unitarian Universalist Ministry – So you think you have a calling? Five Unitarian Universalist provide advice to those who think they may have a calling for ministry. What questions should you ask when considering the ministry. Five UU music professionals talk about their music ministries. Unitarian Universalist Ministry – The ministry of military chaplaincy. A Unitarian Universalist minister and active Navy chaplain shares the joys and challenges of military chaplaincy. Unitarian Universalist Ministry – A religious educator discusses RE credentialing. A religious educator discusses RE credentialing. Three Unitarian Universalist ministers of color reflect on their ministries. A new survey for freerange UUs has just been created by the UUA’s Office of Growth Strategies. I hope you’ll share this with your friends, colleagues and congregation at large. From a growth perspective, I think figuring out how to cultivate (not control) a larger Unitarian Universalist movement is critical. Often I hear people using the words movement and religion interchangeably. They are very different. A few thoughts on that in older post Is Unitarian Universalism a Religion or a Movement? For more on the difference between a movement and a campaign, read the book Brains on Fire: Igniting Powerful, Sustainable, Word of Mouth Movements. For some inspiration on starting a movement, watch the Ted Talk video Seth Godin on the tribes we lead. Some of my colleagues have challenged me on it being valid to be UU outside of a congregation. I gotta tell you, if Unitarian Universalism is small enough to be contained in our existing congregations, it is too small of a thing for me. The Unitarian Universalist Association of Congregations — this organization is rightly bound to congregations. But I don’t think our larger faith should be. Some of you may be wonder, why aren’t these people connected to existing congregations? There are so many reasons. Here are some highlights. The local congregation stinks — it happens. I’m looking forward to seeing what comes from the UUA’s Free-range UU survey. Even more, I’m hoping that the UU Freerangers will start organizing themselves, that a movement will ignite. There are far more of them in the United States than there are members of the Unitarian Universalist Association. Again, I hope you’ll share the survey.